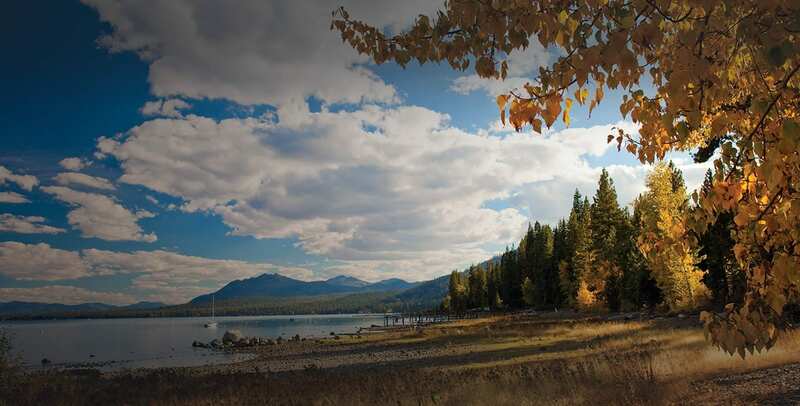 Experience North Lake Tahoe from the lake. How you enjoy it can take any number of forms. There are breathtaking vistas tucked high in the mountainside and along the shoreline on the beach. Bringing a motorized boat? Inspection stations open beginning May 1. 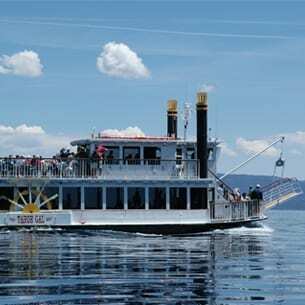 Please download the Lake Tahoe Roadside Boat Inspection Station information. 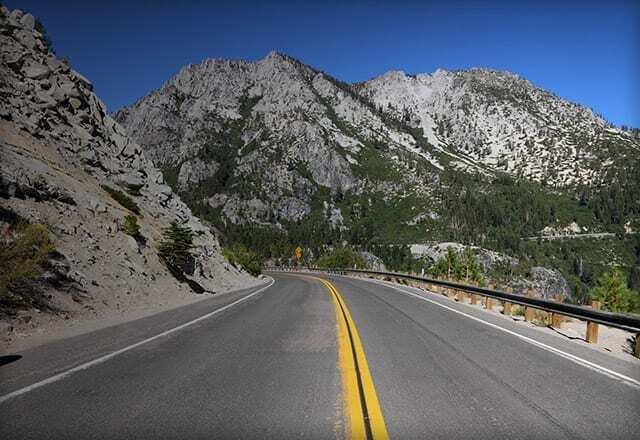 All motorized watercraft require inspection for aquatic invasive species (AIS) prior to launching into Lake Tahoe, Fallen Leaf Lake and Echo Lake. Invasive species are highly advantageous and can be transported by non-motorized water recreation equipment as well. Please clean, drain and dry before launching. Go to our blog or view our video for more information and inspiration about how to get out on the water. 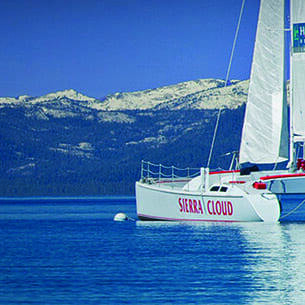 The fun of Lake Tahoe is best experienced on the water itself. 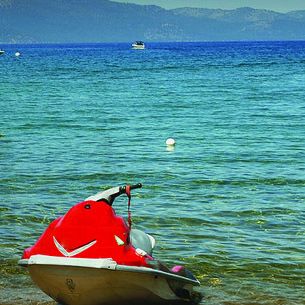 Watercraft rentals are a great option for having a true blue Lake Tahoe adventure. 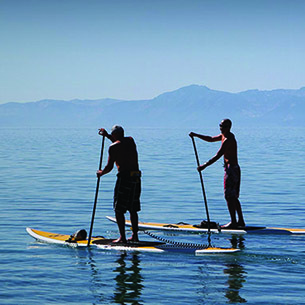 SUP is a great water sport for anyone of any ability. It can be a serene experience or it can be physically challenging, but it’s always a great way to get on the water and experience Tahoe. River rafting, kayaking or canoeing are great for a different perspective on the majesty of the mountains around Tahoe. Always the experience of a lifetime. 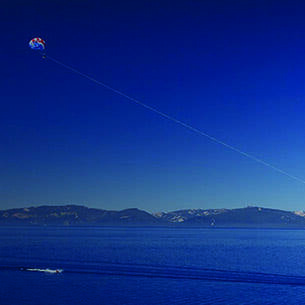 For a bird’s eye view, soar to the skies solo or with your family for an exciting sky high adventure that brings you some of the best views North Lake Tahoe has to offer. Spending the day on the water means knowing when and where to refuel. 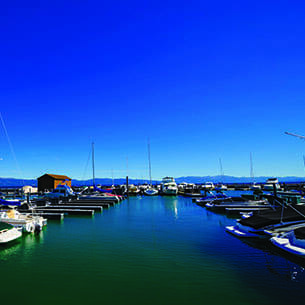 The marinas on Lake Tahoe are great refueling stops with plenty of options for recreation and relaxing. A favorite option for time on the lake with your group, corporate, wedding or anyone you want to impress and have fun. 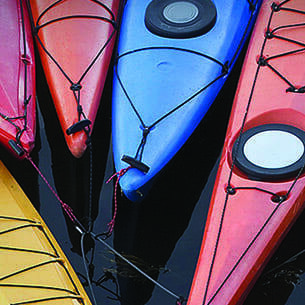 Cruise options range from classic wooden watercraft to river boats and sailboats. Experience the ultimate sunset cruise on one of our many charters and enjoy the serenity of the lake under moonlight. You’ll see blue you never knew existed. 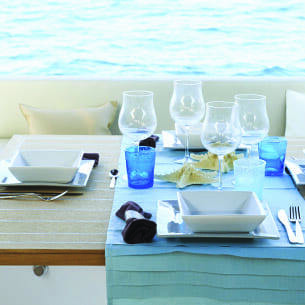 Take your day on the water to the next level when you dock and dine at a lakeside restaurant. Many offer public dock space while you enjoy lunch, dinner or a drink by the lake.